Photo: Small artificial lake in Israel's Canada Park, which sits atop three destroyed Palestinian villages. By Adiel Io. Together with three other Canadians and the support of Independent Jewish Voices, I filed a complaint with the Canada Revenue Agency in October of 2017 asking that it revoke the charitable status of the Jewish National Fund (JNF) of Canada. The creation of Israel resulted in the mass expulsion of indigenous Palestinians and the killing of thousands, because leaders of the new state insisted that it be populated by a sizable Jewish majority. This is where the JNF comes in, created in 1901 as the primary organization to acquire land in Palestine for settlement by Jews and Jews alone. In 1940, the head of the JNF’s Land Department, Yosef Weitz, wrote: “After the Arabs are transferred, the country will be wide open for us.… The only way is to transfer the Arabs from here to neighbouring countries, all of them, except perhaps Bethlehem, Nazareth, and Old Jerusalem. Not a single village or single tribe must be left.” Weitz’s words were matched with deeds, as the JNF compiled detailed surveys of Palestinian villages, which Jewish forces then used to guide their attacks in the war of 1948. But that was only half the job. 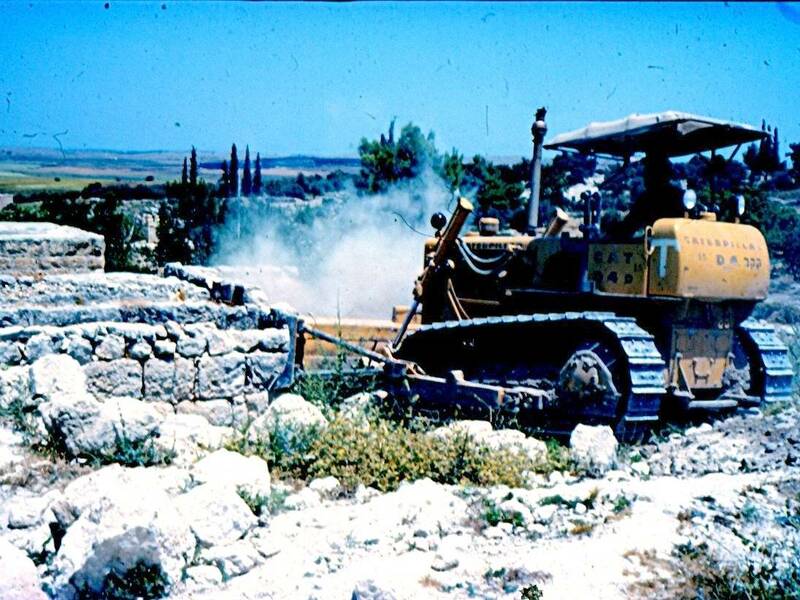 Imwas was a Palestinian village that was destroyed by Israel in 1967. Canada Park, funded by the Jewish National Fund of Canada, now sits where Imwas and two other Palestinian villages used to be. Most depopulated Palestinian villages were subsequently demolished and their names erased from maps, while a minority were conferred Hebrew names and repopulated by Jews. The JNF, which professes environmental credentials, has concentrated many of its reforestation efforts on the sites of destroyed Palestinian villages, thus concealing both the physical remains and the histories of banished inhabitants. I have seen first-hand the result of JNF activities. Most startling was a visit to Canada Park, located northwest of Jerusalem. Funded by the Canadian branch of the JNF, this park was established on the lands of two West Bank Palestinian villages and adjacent to a third, which Israel razed in June of 1967: Imwas, Yalo, and Beit Nuba. Just as the villages were covered with JNF foliage, so too has the story of their destruction been hidden from view. One of my co-complainants to the Canada Revenue Agency, Ismail Zayid, was born and raised in Beit Nuba. Ten thousand people were forced out of their homes and became refugees that June, but JNF guidebooks and brochures tell visitors to Canada Park nothing of this crime. Onsite, several rows of large metallic panels prominently display the names of those who donated to the JNF for the creation of the park. Nowhere to be found, however, is a list of those thousands who used to live where the park now stands. Just as the villages were covered with JNF foliage, so too has the story of their destruction been hidden from view. In truth, all residents and citizens of Canada should have their names added to the donor panels, since each of us subsidizes the JNF and its charitable status through our taxes. The JNF of Canada, to use its own words, “directs 100% of its charitable dollars to support the Land of Israel.” What it neglects to advertise is that JNF funds are directed for the benefit of Israeli Jews, at the expense of Palestinians. Additionally, despite the stipulations of Canadian and international law, the JNF funds projects that support the Israeli military and help Israel confiscate land in the occupied Golan Heights and occupied Palestinian territory, with Canada Park being but one example. Our complaint is not the first one ever submitted to the Canada Revenue Agency about the JNF. But it could be the last if our petition and the evidence we have presented are taken seriously and given a fair hearing. Bill Skidmore is the academic advisor for the Human Rights B.A. program at Carleton University, where he has been teaching since 1994.